Video Assist doesn’t need to be so unreliable and complicated! Don’t let your video assist become a pile of under-performing transmitters, monitors, recorders, receivers, video matrix and cables. As camera operators, focus pullers, and directors you have enough on your mind. You’re tasked with expertly and creatively capturing the scene to produce the best video possible. All video assist should be to you is a reliable, simple, high-quality tool that helps you get your job done with smooth perfection. Video assist was built around the idea of streamlining the production process, saving the time to review whether or not a shot was properly captured. It also allows director, director of photography to ensure the video is captured adequately. In some cases, you may want to use your video assist unit to send your video to multiple receivers; sound engineers, make-up artists, and directors all have their own respective needs on the receiving end. However you prefer to set it up, we make this as simple, affordable, and effective as possible with our VidOlink solutions. Wireless Video Assist has become a preferred method of video assist. Entire fleets of professional wireless video assist operators or video assist crews managing cables can get overwhelming. Wireless transmission saves the time of slugging cables around and adds the ability to get video-assisted shots that were not feasible in the past. All the camera feeds come back to home base, often in the form of a video trolley or simple handheld receiver monitors. Some video assist equipment today has built-in recording functions to re-watch the video right there on the spot. This can result in additional time and cost savings in your workflow. Additionally, it is not uncommon to have someone steadily tagging the shots with meta-data correlating to the time code for easy playback. This can be incredibly beneficial when a director wants to ensure that there is continuity between shots and precision between the movement of actors, lighting, props, etc. Call VidOvation TODAY at +1-949-777-5435 for a FREE Engineering Consultation! We are well aware that some productions are running on a budget, but can’t sacrifice an HD zero delay video assist system. That’s why we’ve developed this unit. 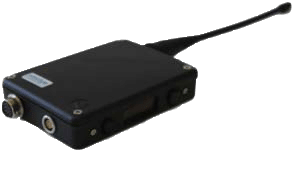 The VidOlink Reacher is our newest broadcast-grade HDMI/HDSDI wireless video transmission link, capable of reaching 2000 feet line of sight with zero latency and no compression. The transmitter is very compact and lightweight ensuring exceptional maneuverability. 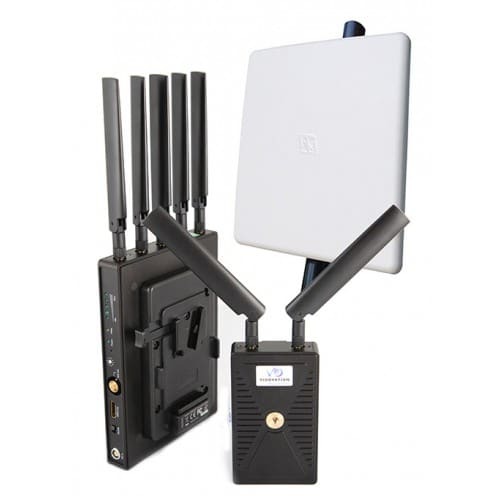 This makes the unit ideal for video assist and on-set monitoring or even going live in which typical wireless systems either fall short on distance or are too pricey. The video assist system supports resolutions up to 1080p60 and utilizes 802.11i 128 bit AES encryption for a secure transmission. There is a frequency selector on both the transmitter and receiver which provides a maximum of 10 workable frequency channels and supports up to 4 sets working simultaneously for your video assist needs. The system includes a 1/4-20 tripod mount for both the transmitter and receiver. This is a great economical solution for video assist. For the independent filmmaker looking to attain the same professional quality video as the major motion picture studios, look no further for your video assist. The focus puller is vital to any video production. They make certain that all camera, lens, and accessory equipment (including video assist equipment) is ready prior to the arrival of the camera operators and directors. We are becoming more and more reliant on video assist in our day to day operations. At one point video assist was strictly about the frame lines. Today, outputting HD SDI onto HD displays, we want to pull focus wirelessly from the monitoring end, which is what this product allows for. The newly released VidOlink Tally & Control system delivers spectacular performance. The focus puller can properly adjust properties of the camera that allow for a great shot every time without even getting next to the camera(s). The focus puller (or First Assist Camera) needs to be constantly aware of the sharpness of the picture and does not have time to be dealing with flaky video assist equipment. This is why we make sure our video assist equipment holds it’s ground. Reshooting can be very expensive, and the focus puller does not want to be the reason for the extra costs or the reason a second take (with a potentially less than perfect actor performance) must be used over the another. This unit is suited to work exceptionally well with your existing wireless links or VidOvation’s line of Wireless Video Links. While you are moving your HD SDI or HDMI video signals over a VidOlink Reacher or VidOlink Ranger, add this unit for the extra features of tally and camera control. The VidOlink Tally & Control has options for Sony, Grass Valley, Hitachi, Ikegami, and Panasonic cameras. Brackets are available to secure the unit. Additionally, data can also be sent down our RF over fiber SMPTE units so with just one cable you can have RF, Data, and power to your receive point.